You will earn 1,413 Reward Points. Earn 1 reward point for every 1 dollar spent. 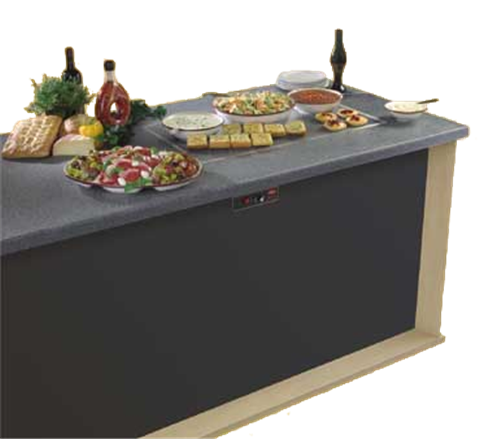 Hatco’s Glo-Ray® Rectangular Heated Simulated Stone Shelves are made of foodsafe materials and come in three Decorative Stone colors. These unique warmers will safely hold food hot while blending in with your décor and are ideal for buffet lines or as hors d’oeuvre displays. Note: Simulated Stone. Hatco is not responsible for counter damage caused by heat from the warmer.